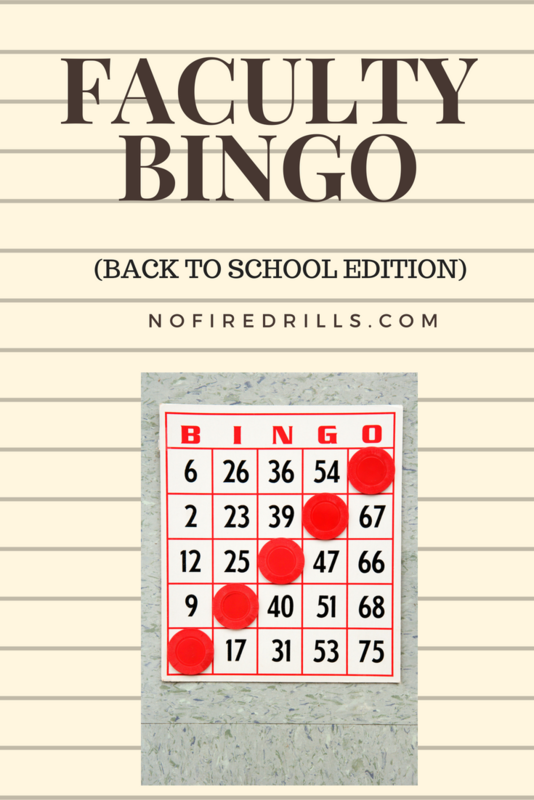 Back to School Faculty BINGO - Be your best teacher! As back to school week approaches, I thought I would share with you one of my favorite faculty games – back to school FACULTY BINGO! For me heading back to school is filled with many emotions- I’m excited, I’m nervous. I have spent the whole summer prepping, (and enjoying a little ME and family time of course!) but by August/ September its the back to school jitters. One of my FAVORITE ways to ease the pain, is to pass out my Back to School BINGO boards on the first day of school. We usually have 2-3 days of faculty meetings and department meetings and its one way that we are able to re-connect share in a LAUGH as the new year begins. gifts would do the trick.